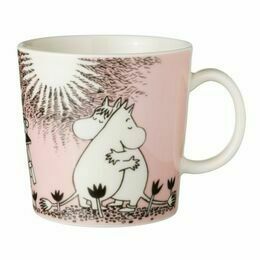 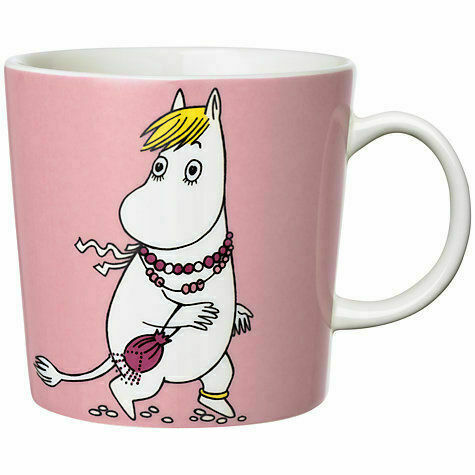 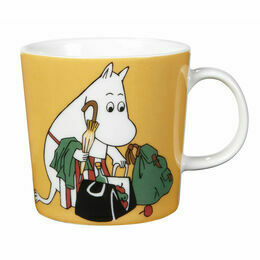 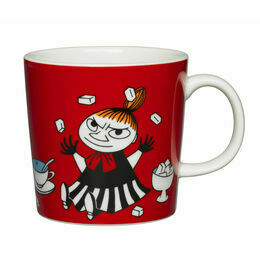 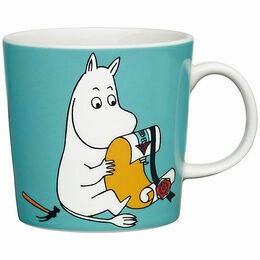 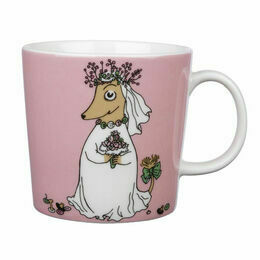 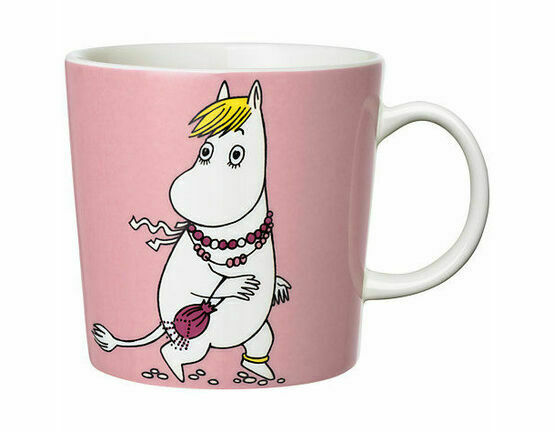 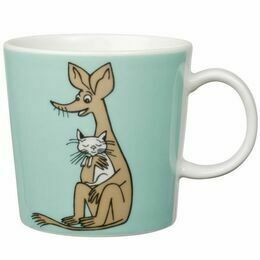 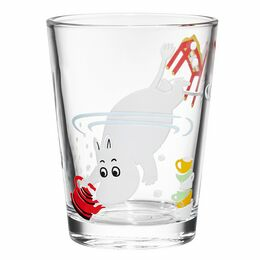 The Snorkmaiden is one of the lovable characters of Moomin Valley, created by the author Tove Jansson. 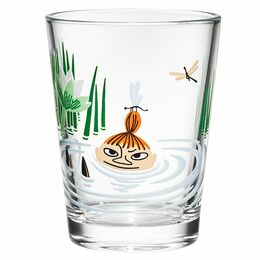 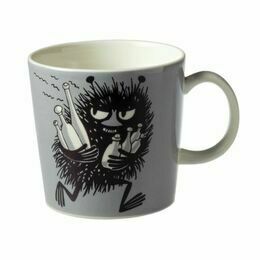 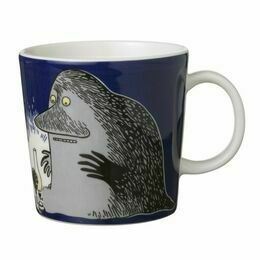 The Arabia artist Tove Slotte-Elevant has designed this new design of the Snorkmaiden in keeping with the original drawings. 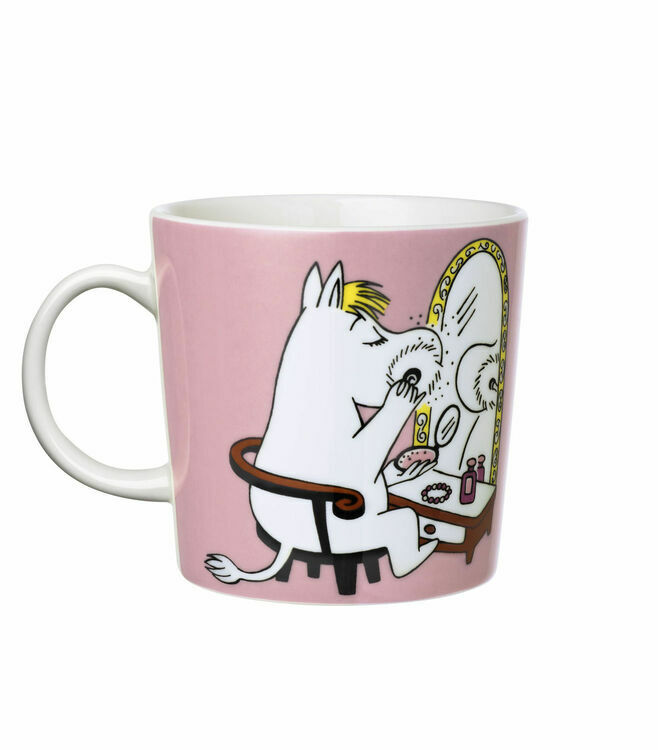 Pretty in pink, the feminine Snorkmaiden gets ready to go out - powdering her nose and adorning herself with a necklace of beads.